Vadstena-Akademien may be one of Sweden’s smallest opera houses, but when it comes to replenishing the opera repertory we are the country’s greatest institution. So far Vadstena-Akademien has commissioned and staged 35 new operas and nearly 50 undeservedly lost operas dug out of antique manuscripts. We give both the participants and the audience the chance to encounter operas that are not part of the mainstream repertoire. 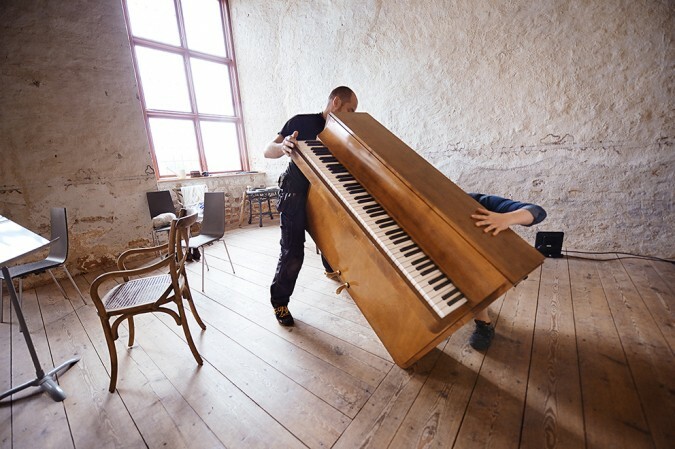 Vadstena-Akademien provides an established road to professional life for young singers, musicians and for practioners of other crafts involved in the world of opera such as lighting, wardrobe and stagecraft. Since the opening in 1964, many of Sweden’s professional opera singers such as Anne Sofie von Otter, Nina Stemme and Malena Ernman have all performed at Vadstena Castle or the Old Theatre. We do not have a dress code at Vadstena-Akademien but it can be warm so dress light. It’s not allowed to take photos or record audio or video during the performances or concerts. Taxis may drive in to Borggården at Vadstena Castle or outside the Old theatre. When you arrive please find a host that can help you find the elevator at the Castle or the entrance at the Old Theatre. When booking wheelchair spaces, please email: biljett@vadstena-akademien.org. Unfortunatly the concerts at Sancta Birgitta Klostermuseum is not availible for wheelchairs. If you want something small to eat or in the Interval of the Opera you can prebook it when you arrive at the Castle from 1 hour before the performance.